Saturdays & Sundays from 11:00 a.m. to 7:00 p.m.
About the exhibition: Ruins of God proposes a dialogue between image and word. 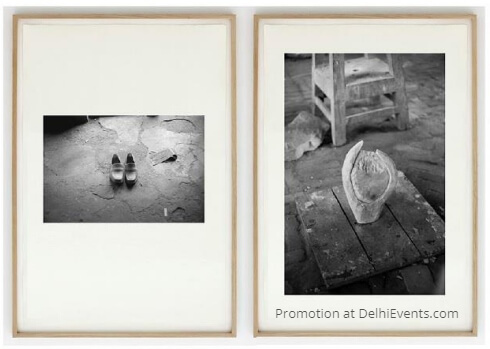 The photographs, shot in Calcutta in 2010, emerge with the reading of a book: The Leopard City, by Subhro Bandopadhyay. The poems, written in Soria two years before, also narrate the discovery and recreation of a place. There are therefore two trips, and two cities, which are: analogous explorations that resonate, forming a third space only accessible through the poetic experience. project, organized by Literature Across Frontiers and British Council in 2017. He is the anthologist and translator of the first anthology of contemporary Bengali poetry that was published in Spain in 2011 under the title The Water Wall. He directs the podyocharcha poetry magazine since 1999. He currently resides in New Delhi where he is a professor of Spanish as a foreign language at the Instituto Cervantes.